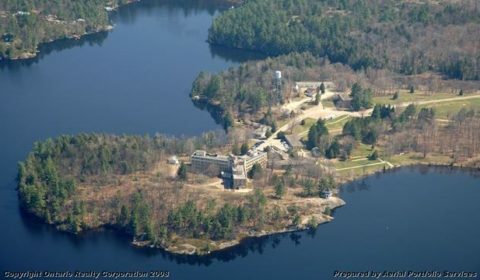 GRAVENHURST — Good news for those interested in the sale of the former Muskoka Centre mental health home on Lake Muskoka. The 70-acre Muskoka Centre site remains for sale by the province, says MPP Norm Miller. The province said Thursday it had sold the former 160-acre London Psychiatric Hospital site to Old Oak Properties for $17 million. “This accelerated sale of a surplus property by the government reduces liability and maintenance expenses and puts more money in people’s pockets.,” says a government release. The sale will put the property back into productive economic use, says the Ford government. The City of London has an approved plan for the redevelopment and reuse of this property which includes a large mixed-use community with a residential, transit, heritage, open space and academic focus. This comes as Gravenhurst town representatives met before Christmas to continue to present the case for the sale of the Gravenhurst site, after a co-bid by the town and a private school operator were rejected last year in a bid to buy it. MPP Norm Miller told local Rotarians recently that the 70-acres Muskoka Centre remains for sale. Yet the province has taken the former Huronia Regional Centre in Orillia off the market.